The Eastern Cape & Cape Town safari holiday is the ideal holiday for those with limited time who want to experience the thrills of Cape Town, along with some great game viewing in the wilder regions of the Eastern Cape. Your holiday will start off with 4 nights in the beautiful ‘Mother City’. You’ll be staying in Camps Bay, opposite one of Cape Town’s most iconic beaches, with sea views to one side, and mountain views to the other. Camps Bay offers a variety of top restaurants, all within walking distance from one another, but you’ll also be perfectly situated to explore the bustling city centre just a short scenic drive away. Cape Town city centre is home to a wide variety of great restaurants, coffee shops and bakeries. Those looking for a bit of a culture will also be happy to discover the wonderful museums and art galleries dotted around the city. A visit to Cape Town is not complete without a drive along the coastline towards Hout Bay, where you can stop off for lunch, or continue a little further and swim with the local penguins in Simon’s Town. The next part of your Eastern Cape & Cape Town safari holiday will take you on a short flight to Port Elizabeth, also known as ‘The friendly city’. Here you will be transferred to Kwandwe Private Game Reseve and be treated to a delicious lunch before setting off on the afternoon game drive. Kwande Private Game Reserve is home to the big 5, and a variety of other game including antelope, cheetah, jackal, hyena and giraffe. You’ll be staying here for 2 nights, and we highly recommend waking up early to go for a guided game walk in the reserve with your ranger, to discover the smaller and lesser known wonders of the area. Arrival at Cape Town International, collect your hire car, travelling a quick 30 minutes to Camps Bay which will be your base for the next 4 nights. There is so much to do in Cape Town – take a full day exploring the Cape Peninsula, swimming with the penguins or stroll in Kirstenbosch Gardens after visiting Cape Point. A short drive takes you to the Winelands where you can sample your favourite SA wines at source and we highly recommend lunch on a wine farm. You stay at Atlantic House which is in walking distance to the beaches, shops and some excellent restaurants, plus breakfast is included. After breakfast, head to the airport for the quick flight to Port Elizabeth. 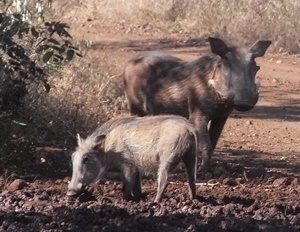 Upon arrival you will be met and transferred by road to Kwandwe Private Game Reserve, arriving just in time for lunch. In the afternoon enjoy an afternoon into evening game drive. The following day there is a morning and afternoon game drive as well as the opportunity to enjoy a nature walk with your ranger – always a great way to see the small things of the bush. During the day relax, enjoy a spa treatment and indulge in the tranquil surrounds. You stay at Great Fish Lodge, inclusive of all game activities, meals plus local drinks. 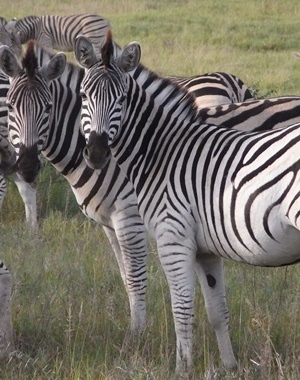 Enjoy the last morning game drive and breakfast before your transfer vehicle will take you back to Port Elizabeth for the connecting flight home. You can fly to either Cape Town or Johannesburg depending where your outbound flight is booked from. Arrival would be the late afternoon at either airport allowing enough time to check in for your flight back to London.